Watch ROSE Co-Founder, Allie Amoroso talk about “What is ROSE all about?”. Rose Women's Foundation began in 2016 with Allie Amoroso, Patrick Juma, Evelyn Ofwana, and Wilikister Were. Our mission is to empower the women and children of sub-Saharan Africa through entrepreneurship and education. On Allie's study abroad mission to Kenya in 2016, she met her co-founder Patrick Juma who is the headmaster of the Daystar Primary School. He introduced Allie to the Mathare Valley community. 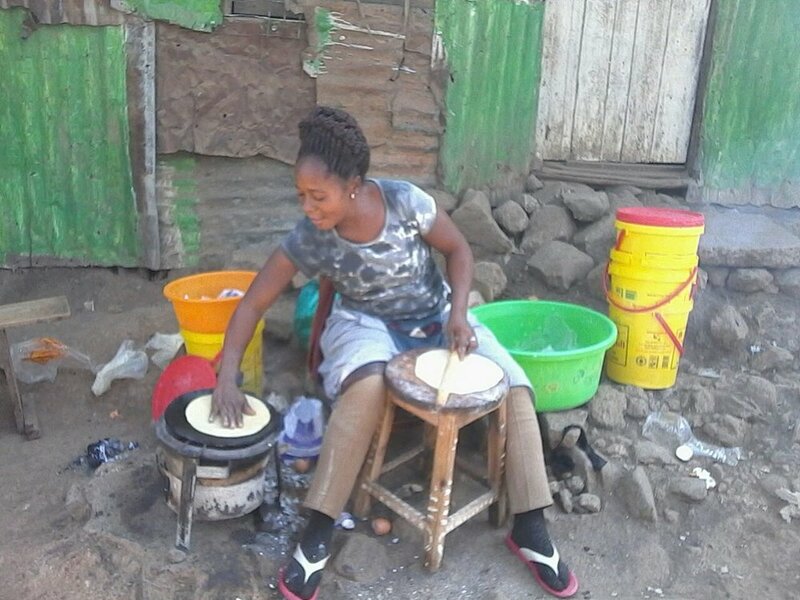 Allie wrote a a needs assessment for 150 mothers of the Daystar children in the Mathare Valley slum of Nairobi. Through personal interviews, questionnaire, and focus groups we found that 100% of the ROSE women made less than $2.50/day, 90% of these women had never heard of a non-profit, and 77% had only had a primary school education. Patrick started DayStar Primary School in 2014 to give education opportunity to hundreds of street children in his local community. Together with the community, they knew an intervention was needed to uplift these lives out of the desperation of extreme poverty. The divine power of God has provided us the opportunity to work together in community as ROSE Women’s Foundation today. The ROSE women and founders were motivated to make a lasting change in their community. Women bear an unequal burden of poverty — often abandoned, abused and destitute from community. ROSE uplifts women with strength and dignity. ROSE women are born entrepreneurs raising families and running businesses in the most extreme conditions. Their biggest daily challenges include food and clean water, rent/bills, paying school fees, and growing businesses to increase income stability. Women want hope for the future, small-business growth, economic security, and safe education opportunities for their children. ROSE women are banded together in trusted community and dedicated to uplifting one another. To promote small business growth, we started 10 micro-businesses with the 150 women of ROSE in 2016. These micro-businesses include selling food, tailoring clothes, embroidering sandals and jewellery making, producing/branding/selling soap and much more! To provide access to resources and education, we threw the first Women's Resource Summit on January 6th, 2018 in Nairobi, Kenya. We are thankful to our non-profit and government partners who have made an exponential impact in the ROSE community. We are always looking for new innovations to add to our portfolio of impact! ROSE and partners Shining Hope for Communities, Africa Yoga Project, WOFAK, Women Enterprise Fund, Youth Fund Kenya have given the women of ROSE access to daily free adult education classes, health care facilities, HIV/AIDS testing, mental health coaching, and support groups, yoga classes, business and entrepreneurship training, and annual 1:1 business loans. It is by the divine power of God that ROSE Women's Foundation has touched hundreds of lives in the Kenyan slums. We pray for your support to change the lives of many. Today, we are a community of 200 women entrepreneurs and their children in Mathare slum of Nairobi Kenya that work together to create a vibrant ecosystem of sustainable business and education.